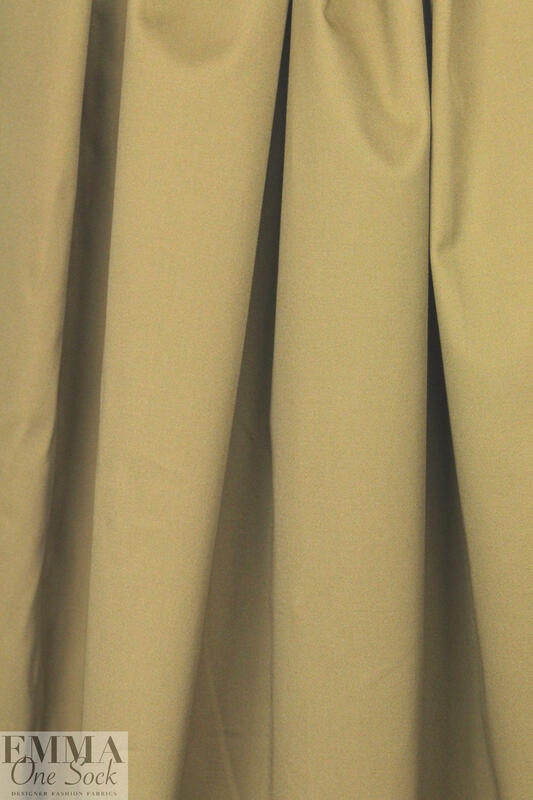 A beautiful quality "cargo twill" cotton stretch woven, opaque, medium-weight with a micro-twill texture, and a cottony drape. 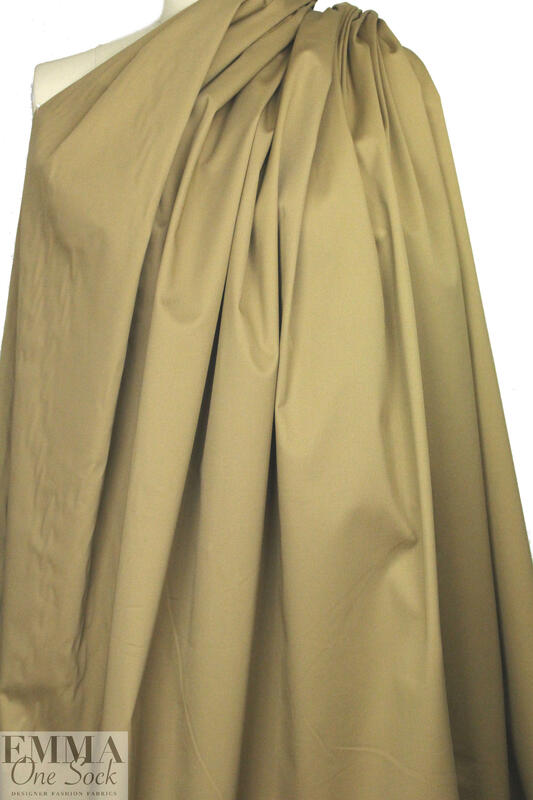 Perfect weight for pants, jeans, a casual tailored jacket, trench coat, travel vest, cotton suit, safari jacket, etc. 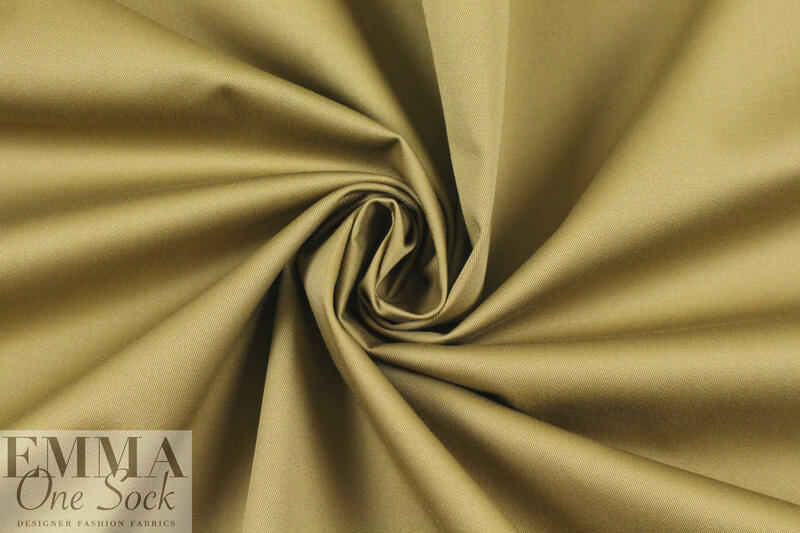 It has about 15% widthwise stretch, and the color is desert sand (PANTONE 16-1326 but a bit lighter). Machine wash warm, tumble dry low or hang to dry, or dry clean.